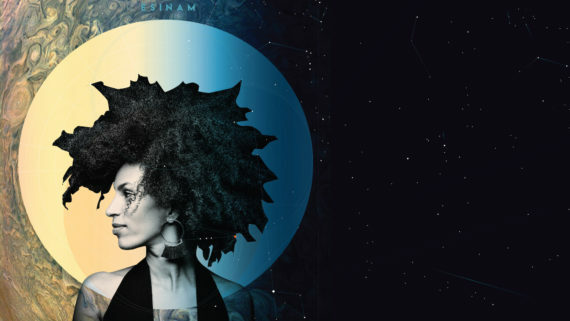 “Esinam”, a new EP by Belgian / Ghanaian multi instrumentalist Esinam Dogbatse, carries influences from different worlds – geographically, culturally and musically -alongside a cool blending of traditional / modern instruments and a soulful voice. Undeniably, the acoustic sounds of the instruments are allowed to evolve and take on new dimensions while opening up a kaleidoscopic spectrum of sound and colour. During the recording of the EP, she joined forces with Jules Fradet from Studio Planet (Damso, Veence Hanao, Afrikan Prötökol). Producing and playing most of the instruments herself, the EP was mastered by LA based producer Kelly Hibbert aka Almachrome, J. Dilla, Madlib, Little Dragon, Flying Lotus, Ebo Taylor, Mark de Clive-Lowe and Arca. Lead track “Birds Fly Under This Heavy Sky” is a mesmerizing opener that smolders effortlessly against a backdrop of subtle beats and sensual rhythms with Esinam’s soft vocals and hypnotic flute providing the groove. On “Do Not Go Into That Black Night”, she is dark and direct. It’s a magnetic take on jazz noire that doesn’t distract from the sultry inflections of her voice while “Gavoé” recalls the spirit of her Ghanaian roots in a ballet of instruments that display a level of personal freedom and sensitivity. Through merging different genres of music, we are warmly welcomed into her musical universe. 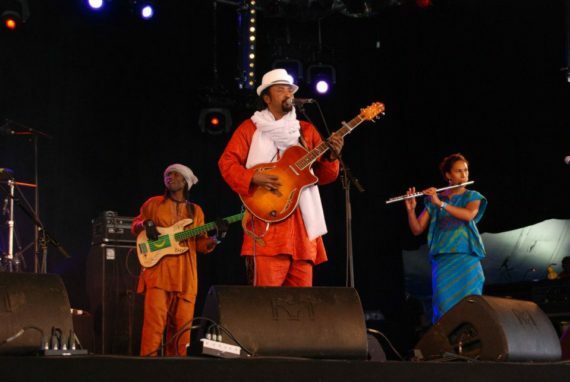 She teamed up with Senegalese DJ and producer Ibaaku on the highly charged “Electric Lady”, who provided some distinctive musical hues. 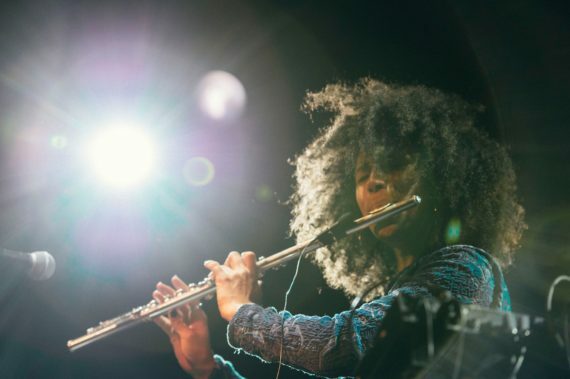 A track drenched in afro-futurist colours, sonic samples and collages freely mix with electric and raw sounds, supporting the energetic playing of the flute. The structure of the song remains true to Esinam’s signature sounds – surprising ruptures, poetic atmospheres and constant affirmation of grooves. 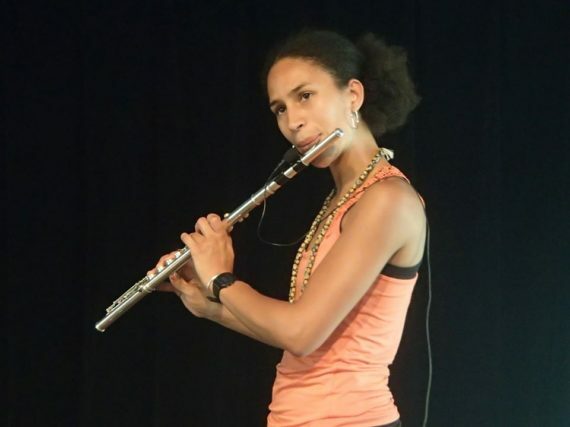 Esinam, who is also a composer, plays and performs her own music with flute, percussions, vocals as well as traditional and modern instruments – all alone on stage. She is truly “a one woman band” and is a delight to watch. 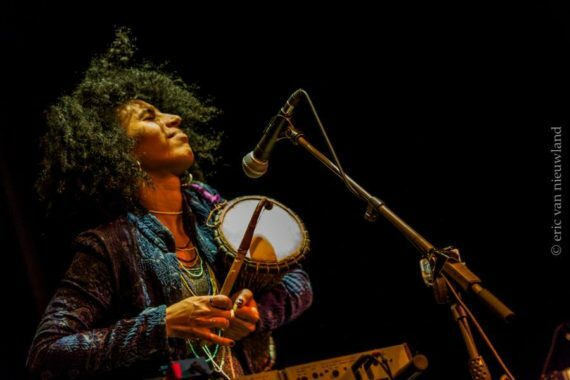 On her live set, she juggles traditional instruments such as the “tama”, “dondo”, “kalimba” and “pandeiro”, which she loops and blends with the sound of her flute and voice. It sometimes triggers dancing, sometimes contemplation from members of her audience. 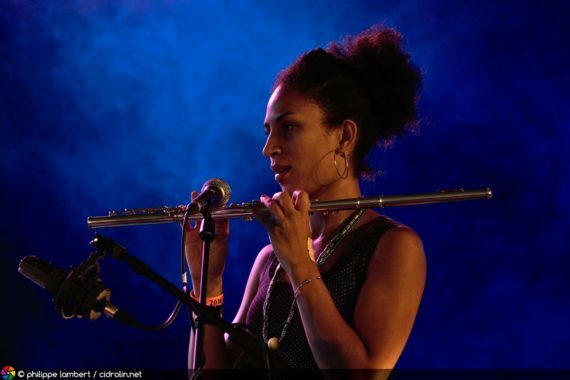 As a flutist, she plays and has played with an array of bands such as, Marockin Brass, Kel Assouf, Témé Tan and Sysmo. 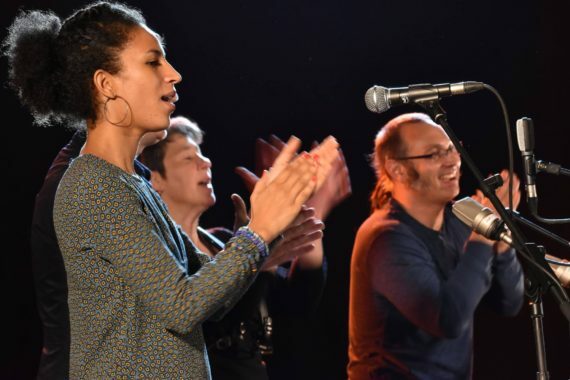 Belgian rapper, Baloji invited her as a guest on his latest record while Melanie De Biasio booked her as a support act for her sold-out shows at Ancienne Belgique in December 2017. 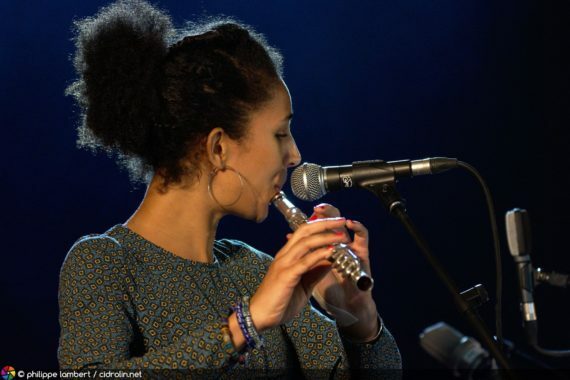 In April 2018, she performed the opening act on the large stage at Botanique (Orangerie) in Brussels, during Les Nuits for Nakhane and Témé Tan. Indeed, Alsarah & The Nubatones, Selah Sue and Moses Sumney are also impressed with her unique musical universe and invited her to start as their support act for their sold-out concerts.